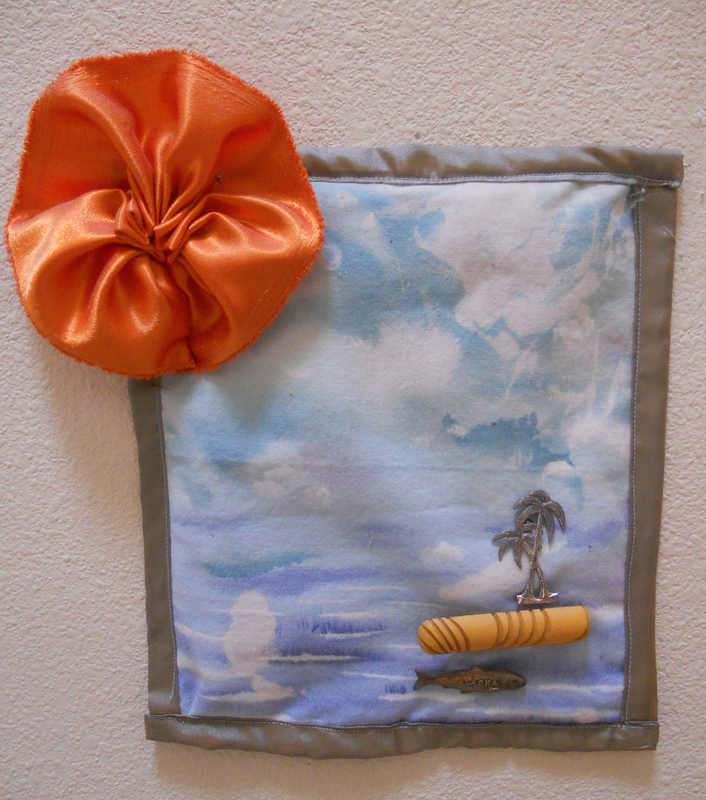 This is the very last piece that Lisa made before she passed away in her home on June 20, 2012. It says much about the gentle journey she would be taking to the afterlife. The orange flower is a snippet of material from the dress that she made, but never wore, until she was dressed in it for her cremation.